Suicide in Nevada: Are We Making Progress? Suicide is a worldwide crisis that affects not only the individual, but family, friends and society. The American Foundation for Suicide Prevention found that suicide is the tenth leading cause of death in the United States accounting for nearly 45,000 deaths every year. To put this number into perspective, opioid drug overdoses, including heroin and prescription pain killers, account for around 35,000 deaths each year. Besides the pain caused to family and friends, these deaths cost the US around $69 billion per year. 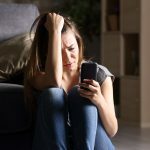 The Center for Disease Control (CDC) defines suicide as “death caused by self-directed injurious behavior with an intent to die as a result of the behavior.” As the numbers steadily rise every year worldwide, nationwide, and in our home state of Nevada, is there any hope for positive changes soon? Historically, Nevada has held one of the highest suicide rates in the country. Nevada shares this unfortunate recognition with Alaska and the other inter-mountain west states of Montana, Arizona, Colorado, Utah, New Mexico, and Wyoming. There are many common physical, cultural, and social economic factors within this “suicide belt” region that likely contribute to these higher suicide numbers. Research from the UNLV Center for Democratic Culture found these high-risk factors include challenges related to transportation, lack of resources, rural populations, isolation, and access to firearms. While each state has additional state-specific challenges this article will focus on Nevada data. This infographic from the American Foundation for Suicide Prevention provides a great introduction to suicide in Nevada. Nevada faces all the challenges stated above with its large rural population outside the Reno and Las Vegas metropolitan areas. Gambling and the lack of sufficient mental health care are other issues that affect the high rate of suicides in Nevada specifically. The Kaiser Family Foundation found that Nevada spends $89 per capita on mental health services compared to a $119 average for the US. This is just one variable for why many residents may not be receiving the care they need. While it does not currently hold the title, Las Vegas has been the suicide capital of America several times in the past decade. As of 2008, researchers found that residents of Las Vegas had a 50% higher risk of suicide than the national average and visitors faced nearly double the risk. They believed that the combination of gambling, explosive population growth, economic recession, and a lack of community cohesiveness were factors to why Las Vegas had such staggering numbers. Despite these eye-opening statistics could there be a glimmer of hope for Nevada? The year 2015 marked the first time in many years that Nevada did not fall in the top ten states for highest suicide rates. Misty Vaughn Allen of the Nevada Office of Suicide Prevention spoke about various efforts that led to these improvements. In her interview with KUNR she said that Nevada dropped to eleventh primarily through grassroots efforts that supported the idea of assisting one person at a time. Vaughn Allen said that state organizations focused on efforts to reduce stigma and improve awareness. Since many families believe suicide won’t affect them personally, they are typically not receptive to personalized suicide training. However these organizations found better success when members of the family were introduced to the material in separate settings. For example, children are now provided suicide screenings in middle school, since this age is a particularly vulnerable population. A unique method of reaching the parents and other adults involves providing training in the workplace. Vaughn Allen explained that this method reached a greater audience in a less intrusive manner than targeting families directly. While 2015 brought some encouraging signs, in 2016 the American Association of Suicidology released results signaling a quick end to the positive trend in Nevada. In early January 2018, Dr. Lesley Dickson, executive director of the Nevada Psychiatric Association, presented updated information on suicide to medical professionals down in Las Vegas. According to an overview of her presentation, Suicide Prevention: How to Save a Life, Dr. Dickson said that Nevada suicide rates increased from 19.3 to 22.1 per 100,000 people. These numbers bring Nevada back to the 5th spot and the highest suicide rate level since 1997. 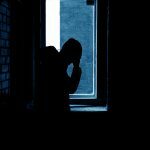 Suicide not only continues to affect Nevada and the United States as a whole but it is also a worldwide epidemic affecting nearly 800,000 people every year. The World Health Organization created a report called Preventing Suicide: A global Imperative as a call to action for bringing better awareness to these preventable deaths worldwide. ASIST- courses to help prepare caregivers for intervention. SafeTALKs- training for fundamental lessons useful to everyone. County specific pages detailing local organizations and events. A valuable Resource and Links page. Dr. Dickson also shared many beneficial ideas specific to the medical community and the families they serve. As many individuals who commit suicide never see a mental health professional, a physician may be the only caregiver an individual or their family visits. She recommended health care providers look for any change in behavior that is out of character including lack of appetite or sleep problems. Dr. Dickson also reminded doctors to be sure to tell families to talk to their loved ones if they have concerns about specific words or actions they witness. Suicide is an issue that can affect anyone. As professionals it is important to continue to address the stigma of suicide. Classes and trainings greatly improve one’s abilities to handle someone in crisis. The high rate of suicide deaths in Nevada indicates that there is still much work to be done. For additional information on suicide and other behavioral health issues check out the suicide learning lab and Resources section as well as future trainings from CASAT.